NORTHRIDGE, Calif.—In just a few short years, The Weeknd has become one of the most dominating artists in pop music, winning multiple GRAMMY Awards, topping the Billboard charts and earning millions of fans worldwide. 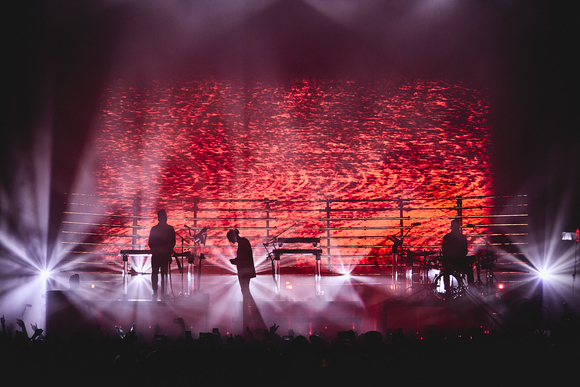 Recently, Lighting Designer Sooner Routhier was hired to design the stage lighting for The Weeknd’s 2017 “Starboy: Legend of the Fall” world tour. The performance features numerous projectors that display video content on custom surfaces, including a large spaceship shaped structure suspended above the stage. Routhier wanted to add LED fixtures to the set that would enhance the visual experience, without competing with the projected video content. 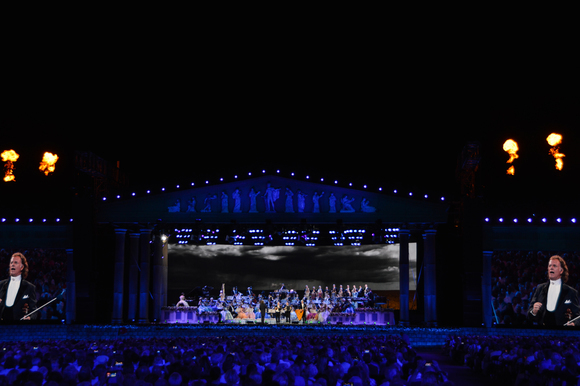 In order to achieve this goal, Routhier deployed more than 650 Martin VDO Sceptron 10 LED video fixtures to create a unique blend of lighting effects, video projection and vibrant imagery. The Sceptrons are controlled by Martin P3 System Controllers, which receive content from the same video server as the projectors. The Sceptrons alternate between neon lighting effects and video content, which creates a dynamic visual presentation that changes with the music. During the initial design phase, Routhier knew she wanted to line the set with thin LED video fixtures that were available in different lengths, since the projection surfaces varied in size. Routhier has worked with Sceptron fixtures on numerous other tours, and she knew their robust build quality, versatility and flexible sizing options would be perfect for the “Starboy” tour.